Hunter’s Run is a novel that took some 30 years to get to the shelf. Brainchild of Gardner Dozois, it’s had help from his friends George RR Martin and Daniel Abraham to get it across the line. And it’s so good that they persisted. The story involves a Hispanic colony on a planet way out in the black, and a rather nasty man, the prospector Ramon Espejo. He has a mercurial relationship with his lover Elena, doesn’t play well with others, has to self-medicate to handle the stress of being in town. He’s most at home in the wilds, digging for minerals, living off the land. But on this one trip, he discovers a secret: the real reason the alien Enye are helping spread humanity across the stars. It isn’t pretty. There are a few aspects of the novel that make it a cut above. The first is the way it depicts the new world, drawing on the settler’s analogues and superstitions and how they adapt without adapting much at all, really. The second is how aliens are depicted, in both biology and culture. And the third is how it explore the sense of identity, because Ramon gets a chance to examine his life and the direction in which it’s headed and make some decisions about that. It’s handled superbly. I’ve always been troubled with how a villain with amnesia, say, given that chance to redefine themselves, often make the decision to veer towards the social norm than their previous predilection for villainy. It’s an interesting nature vs nurture exercise. Hunter’s Run delivers are far more satisfying examination than most. 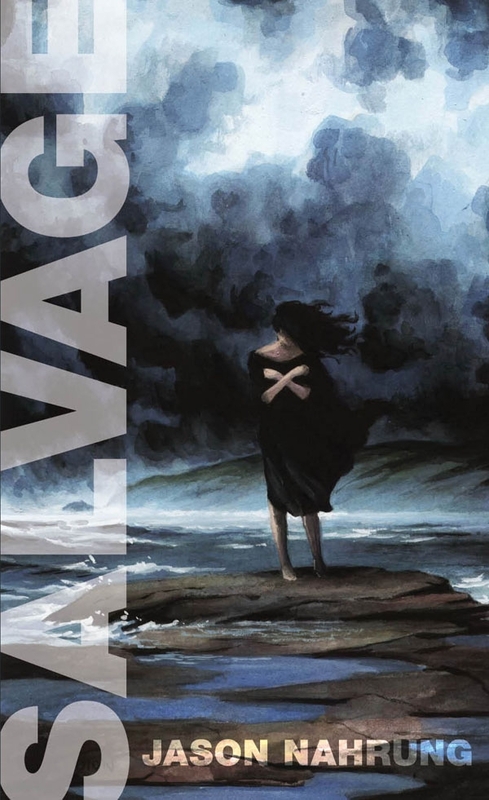 The prose is clean and the world well drawn and the action unpredictable, and Ramon and Elena are alive on the page, compelling if not likeable. There are interviews with each of the three authors at the back of the book that reveal its drawn-out path to publication and some of the issues they dealt with, such as alien construction and the motivations of their characters. Illuminating stuff! Highly recommended, even if you’re not looking for hints on planning your own alien civilisation and offworld colony. 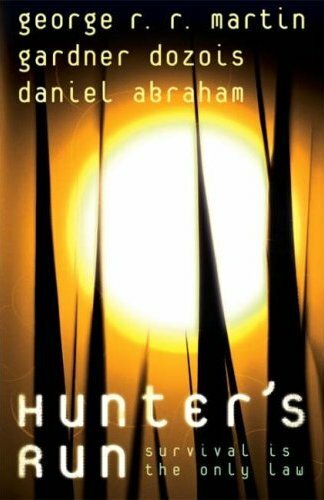 This entry was posted in books, review, science fiction and tagged daniel abraham, gardner dozois, george rr martin, hunters run. Bookmark the permalink. ← The Hobbit, or, Over the Top with Bilbo!